It is one of the most iconic pictures of the Loch Ness Monster. A photograph that demands a reaction, whether it be one of disbelief or one that salutes a continuing mystery. The picture was taken on the morning of the 14th July 1951 by Lachlan Stuart and appeared in the Scottish Sunday Express the next day. Shot in the shallows of the southern shore, the picture has taken its place in monster history. Now this picture has been discussed at length on this blog and you can find the chain of articles starting here. Since the first was written in July 2012, nothing has since come to light that would make me alter anything. Well, that was until the grandson of Lachlan Stuart made contact with me. He informed me by email that his mother, was the daughter of Lachlan Stuart and wished to discuss the story with me. Naturally, as a Loch Ness Monster researcher, I was delighted to have the opportunity to speak to someone that was close to such a famous case. I have her name, but I will call her Mary in this article. So, I phoned Mary in early February and had a half hour conversation about her father and that famous photograph. One half of me was expecting Mary to inform me that the whole thing was a hoax, but that proved not to be the case. I suppose the conversation was akin to the testimony of a character witness with details about the three main players in this story - Lachlan Stuart, Taylor Hay and Richard Frere. Mary was about one year old when the photograph appeared. In fact, she appears sitting on her mother's lap in a family photograph that appeared in a Sunday Express feature on the picture. What she learnt was as a result of her later persistent requests for her parents to retell the tale of that day in 1951. Lachlan Stuart interviewed for the 1958 documentary "Legend of the Loch"
Constance Whyte had sent Lachlan Stuart a complimentary copy of her book, "More Than A Legend" and Mary told me her father's oft retelling of the story was always a near verbatim retelling of the account in that book (which she still has). For example, Mary confirmed that her mother told them that the picture was taken in the morning and the press had descended on the place by the afternoon. Those who claim the photo was taken in the evening take note. The other person involved in the taking of the picture was Taylor Hay. One sceptical researcher has even implied that Hay may not have existed, but Mary remembers him over a period of twelve years as he lodged with the Stuarts, not only in the Whitefield cottage at Loch Ness, but also in other places that their forestry work would take them. Within about a year of the taking of the photograph, the Stuarts and Hay had left to take up new residence in the west of Scotland. Taylor Hay eventually moved out when he married and in due time the Stuart family moved south to England. Lachlan Stuart passed away in 1979 and Taylor Hay died afterwards. What exactly happened that day passed away with them as they were the only ones present on the beach. However, we have the words and views of those who survived them and this is where Mary comes in. What was her view of her father in the context of that well known picture? In her opinion, Lachlan Stuart was "the most honest person she knew" and not a practical joker at all. This was why the accusation of Richard Frere came as a shock to not only her, but her mother and two brothers. This was not the father she had known and grown up with and they were left wondering why Frere had said such a thing. Now, the Stuart family were part of a close community of forestry workers and their families. Her Mum was well informed as to names, places and situations as she talked with not only her husband and lodger (Hay), but also other wives. Did she know who Richard Frere was? She had never heard of him, came the answer from her daughter to me. published the fact that the picture was faked in his "Loch Ness - The Monster" publication, he received a poison-pen letter from one of Lachlan Stuart's friends ... which shows how well the photographer conned his friends. Recently his son called at the Loch Ness Centre and, surprisingly, he didn't know that his father had faked the picture either. It must be understood, however, that if you are going to produce a convincing hoax you must tell no-one the truth. But, Tony, he did allegedly tell someone. Well, that's what Frere claimed. I have picked apart Frere's claims in the aforementioned series of articles. But, Lachlan's daughter asked me why he waited until her father was dead before he accused him. Was he making sure there would be no comeback on his claims? That sounded logical enough, but on further thought, I am not even sure that Frere was bothered whether Lachlan Stuart or Taylor Hay were dead or alive before he made his way to that exhibition nearly thirty five years ago. Indeed, I am not sure how easily he could have found out about them, given what Mary told me. In my opinion, this major exhibition centre opened and that was the only incentive he needed. There are three options in assessing Frere's claim. Either he was accurate in what he claimed, he was lying or he misremembered the whole story. In the first regard, Frere's story has too many inconsistencies to be regarded as an accurate portrayal of events. Was he present at the so called hoaxing or did Lachlan Stuart confess to him weeks later? They both can't be true. Moreover, Frere was looking for a horse for his timber business, and this is linked to his so called conversation with Lachlan Stuart. However, he only went into this business in 1953 and the Stuarts had left the area by then. So, did Frere lie? It would be easy to fabricate a story in which he and Lachlan had a grudge, or there was some axe to grind. That would be simple to concoct, but very difficult to prove. In fact, there is no reason to suggest it, so I won't go down that path. So, did Richard Frere simply misremember some encounter back in 1951? The red flag for me was Frere's opening remark to Alistair Boyd in 1988, "I happen to remember clearly ...". Now, can someone remember something clearly after 37 years? I think that is generally not true. I have looked at other events brought to light decades after they happened. I covered one only recently from 1909 or 1915 where the witness unveiled the story in 1951. There is a general agreement that memory of events will gradually fade over the years and that may accelerate as the brain enters old age. The minor details will go first and the grosser details will follow until the entire event disappears from the mind. It is a bit like a footprint being impressed in mud. Over time, erosion from wind, rain, heat and other factors will gradually obliterate the footprint. There are two instances where this process can be mitigated. The first is to regularly rehearse the memory to re-impress the "footprint". So, in our case above, Mary's repeated requests for the retelling of the story from her parents kept the integrity of the memory of the event to a higher degree. The other is the "impact" event which leaves a greater impression on the mind. Seeing the Loch Ness Monster counts as one of these, something startling or extraordinary that leaves a deeper impression on the memory. This is akin to our footprint being impressed with a huge weight upon it or in more durable material such as clay. After 37 years, Richard Frere was not going to have a clear memory of a conversation made in 1951. I concede the two may have met in the course of forestry work at the time, they may have had a conversation about Lachlan Stuart's newly taken picture. Being a brief and one off encounter, Lachlan Stuart may not have bothered mentioning it to his wife, hence her lack of recall of Frere. Lachlan Stuart may even have said that some had suggested he took a picture of hay bales whilst pointing to some nearby hay bales and tarpaulin. After 37 years, such a conversation could become a confession in the mind of someone who regarded the Loch Ness Monster as the worst example of the Highland commercialism he so loathed and fought against. One clue to this is why he did not take this story to the Loch Ness Investigation Bureau when they had a high profile presence at the loch between 1962 and 1972. Frere had lived in Drumnadrochit since 1959, yet there is no record of him confiding a hoax with anyone. But, at that point, the conversation could have been less ambiguous or may have entered an ambiguous state regarding exact words used. Either way, the better recall of the conversation back then was not sufficient to provoke a visit to the LNIB. Frere was also heavily involved with the author, Gavin Maxwell, and ran many of his corporate affairs till his death in 1969. Thereafter, he focused on writing Maxwell's biography, "Maxwell's Ghost". In my opinion, this busy part of his life helped to erode memories of this casual conversation even more. Lachlan Stuart's daughter says allegations of a hoax are inconsistent with her father's character. Richard Frere's words are accepted because of his perceived character. Apparently, character witnesses do not count on the other side of the argument. This is not, primarily, an assessment of the photograph taken in 1951, but rather the characters involved. People will have already made their minds up based on Frere's testimony, photographic analysis and attempted reproductions. Based on my own years of assessing the Loch Ness Monster debate, witnesses of any sort are not perfect, photograph assessment is not always objective as made out and any famous picture can be reproduced given enough time and resources. In that light, and as with other cases, I leave the individual reader to form their own judgement on the matter! 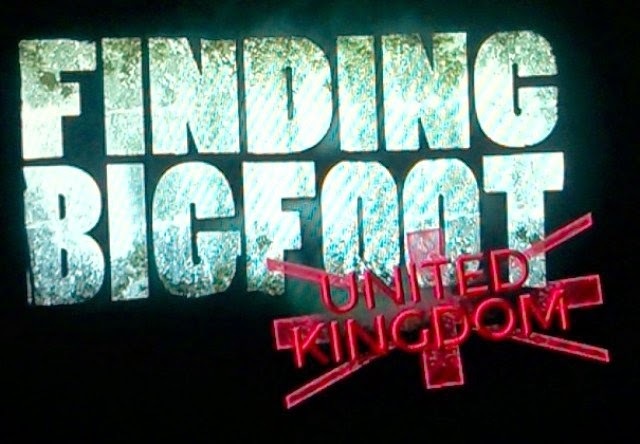 The popular "squatching" series, "Finding Bigfoot", headed to the shores of Britain on a recent airing on Animal Planet. I, for one, was curious to know how they got on with the hairless cryptid that inhabits Loch Ness as well as their take on cryptid humanoids in Britain. The first stop was London and that meant things like Buckingham Palace and, in the case of leader Matt Moneymaker, managing to bump into another car on London's busy streets. Well, perhaps he just mounted a pavement. Like some Nessie or Bigfoot sightings, the details were a bit vague. Meeting primatologist, Dr. Anna Nekaris, at the appropriately named "Green Man" pub, she discussed the most likely habitats for large primates and the forms of ancient man that once inhabited these isles (namely, Homo Erectus and Neanderthalensis). One such prime spot appeared to be Harwood Forest in the north of England where our team met Neil Young and an alleged photograph of a hairy hominid he took some years back. It is definitely a blobsquatch and not a lot could be deduced from it. Certainly, it made some Nessie photos as clear as day by comparison. It became evident that Bigfoot hunters have the same issues with getting close to their quarry as we do at Loch Ness. Nevertheless, the staple night hunt ensued as the team acquired cricket bats instead of baseball bats to do their wood knocking and the thermal cameras scanned the opaque woodlands. Nothing was seen and it was onto their "Town Hall" meeting where they heard some people recount their "squatchy" experiences. I noted a familiar name in the crowd and that was Adam Bird who, back in 2011, sent me some pics he had grabbed from the Nessie Webcam, you can detour to that article here. Also at that meeting, was a Hamish MacDonald who invited the team to come further north and investigate the Grey Man of Ben MacDhui and therein lay an excuse to take a detour to Loch Ness. 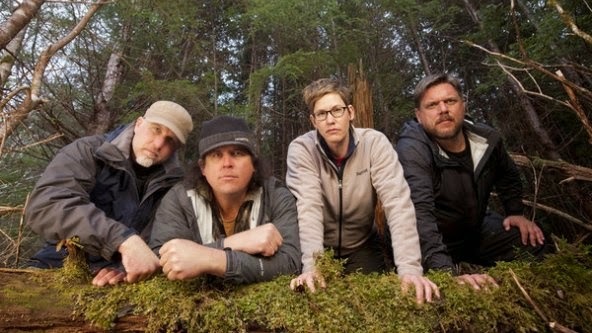 Matt Moneymaker and Ranae Holland accompanied Adam and his father Paul to Sherwood Forest where they had an experience of knocking and thumping noises in an area alleged to have hosted Bigfoot type sightings. It seems Adam has had a subsequent Bigfoot experience where a footprint and figure were photographed. Prior to this, the team had visited a 900 year old church with some greenman or wildman carvings inside. Are these carvings a latent memory of ancient encounters between Homo Sapiens and some of his more distant relations? Meanwhile, James "Bobo" Fay and Cliff Barackman had arrived in the Cairngorms to check out the Grey Man who reputedly haunts the mountain, Ben MacDhui. Now that may be a better word than "inhabits" since that particular phenomenon seems to have a more ethereal quality to it. Nevertheless, our duo met with the Cairngorm Mountain Rescue Team and their tale of two men they had rescued from a shredded tent with the connotation that something had attacked it (though some have questioned this story). Now, to my surprise, I noticed a William Cameron amongst the Cairngorm Mountain Rescue Team. Actually he is a marketing man for the Loch Ness area based at the Clansman Hotel by Loch Ness. Methinks he was a plant to draw our dynamic Bigfoot duo closer to Loch Ness. Indeed, it clicked that the aforementioned Hamish MacDonald who mysteriously appeared in England was likely another link in the chain. What Willie Cameron thought of the Finding Bigfoot editorial team subtitling some of his Scottish accent, I may never know. It's not surprising, though, when I was in California some years back, I had a hard time making myself understood to a fast food waitress. My wife eventually had to translate for me. So, finally, Bobo and Cliff got to Loch Ness and a familiar face was there to greet them - Adrian Shine. They went out on his Deepscan boat and discussed the Loch Ness Monster in the middle of the loch. Cliff thought there was something to the mystery but Bobo was non-committal. Adrian took them through a brief, potted history and the things that can fool observers of the loch such as standing waves, etc. Though Adrian thought anything unusual he had seen had a natural explanation, there were still some sonar readings that had no ready explanation. Cliff drew the parallel that a proportion of Bigfoot sightings were also explicable in their own way (but clearly this had not affected his belief in the creatures). Now, I was hoping that the team would go out on the loch and do a Bigfoot-type search with those FLIR thermal cameras that I so covet. But, alas, I was to be disappointed as the hunt for Nessie amounted to no more that Bobo improvising one of his Sasquatch hollers with a kind of heavy breathing outburst! In fact, Cliff and Bobo did do a night search at Loch Ness with Hamish, but it was up in the hills of nearby Abriachan. The first mistake they made was presuming there was a hairy hominid to look for in that part of the world, I am aware of no such stories from that area south west of Inverness. The second mistake was putting on kilts and going into a forest full of midges. Epic mistake, but we live and learn. But I was indeed curious to see how their thermal cameras would have performed on the surface of Loch Ness. In fact, I am interested in acquiring such a device for my own research at the loch. 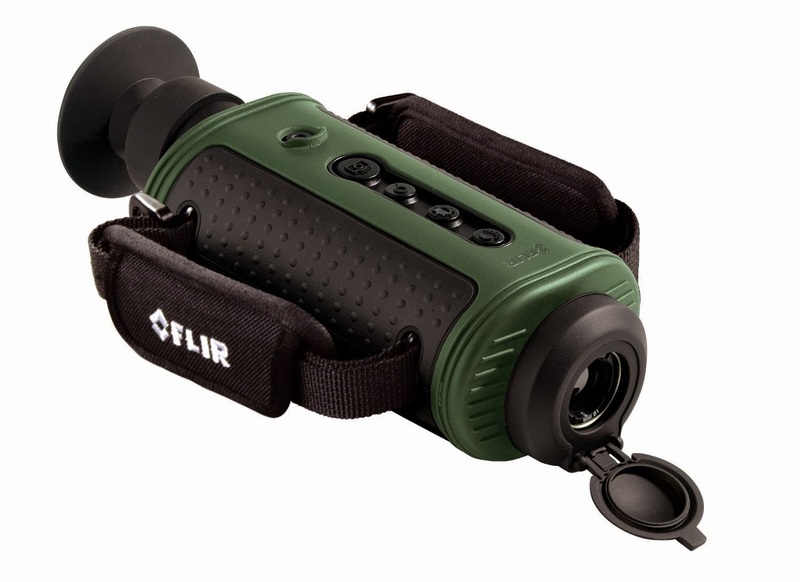 The gadget I had in mind can't be that different from the Bigfoot team and is the Flir TS24 Pro (below). It runs at 240x180 resolution with a 19mm or 65mm lens and can record up to 16Gb on an SD card (after all, I'll need to prove what I saw). It's a mere snip at around £3,500 and if anyone wants to lend me one or even buy one for me, just drop me an email! The whole team finished with a night search amongst the old caledonian pine forests along the Moray Firth coast a few miles north east of Loch Ness. Deemed the most "squatchy" territory by our team, the most they got out of the hunt was a sound that may well have been an owl. Finishing off their special trip to the United Kingdom, it was felt that there may have once been a hominid in Britain which inspired the old folk tales of wild men and green men, but even Bobo concluded that there may have been nothing in Britain for maybe centuries. I, myself, am neutral on whether such bipedal creatures have appeared recently in Britain. I shall leave those arguments to such people as Adam Bird. For me, it's back to the Loch Ness Monster - with the odd glance at the next episode of Finding Bigfoot.